Want to learn how to spot a fake Instagram account? You’re probably already aware of the fact that on Instagram, there are fake Instagram accounts. And Instagram is cracking down on it hard. As Instagram has exploded in popularity over the years, so has the importance and significance of having a lot of followers on Instagram become. Today, having followers mean prestige and respect and looking more popular in front of other people. But not everyone knows how to, or wants to put in the effort of working strategically to authentically grow their followers, but instead, they decide to take the shortcut. And there aren’t just a selected few people who buy fake followers on Instagram. Today, large corporates, influencers, and all sorts of people purchase followers on Instagram, even though doing so has a lot of negative sides. With the increased demand for fake followers, the supply of followers from the people who sell them has to be there, and the followers that are sold are exactly that: fake. Therefore, in this article, you’ll learn how to spot a fake Instagram account, whether it be to see if the account that just started following you was fake or to identify if someone you know has a lot of fake followers. What is a fake Instagram account? First thing first, let’s start with the basics. A fake Instagram account can be a number of things. Normally, a fake Instagram account is an account that doesn’t belong to a specific person but instead is created for other reasons than to share personal things and engage with peers. In other words what Instagram is really created for. Normally, the fake Instagram accounts are created for a business purpose, in order to start following accounts or engage with accounts that pay for their services, which is Instagram followers, likes, and comments. 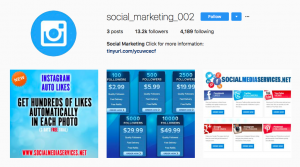 By buying these things, people can inflate their numbers on Instagram and thereby look more popular. And many people do this by purchasing followers, or services from businesses that breed these fake Instagram accounts. And despite what some services say, the accounts that start to follow when you buy them aren’t real accounts belonging to real people, but rather fake accounts created in a way to replicate the account of a real person and look authentic, but there are a wide number of tells which you can identify fake accounts on. Another type of fake accounts are the accounts that individuals create for stalking purposes. This type of fake Instagram accounts don’t make up the majority, but the nature of the accounts are still similar to the other type, which also means that identifying the fake accounts can be done using the same methods. 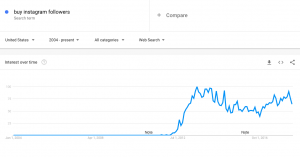 On Instagram, the topic of fake accounts has been widely the discussed. People who call themselves influencers have been identified as having bought a large number of followers and inflating their numbers to make them look more influential than they actually are and celebrities like Akon has also been identified as having bought a large number of fake Instagram followers. Now, a fake Instagram account is not an account which has bought fake followers, but rather the fake accounts that are created for that sole purpose. Identifying accounts which have bought fake followers is a completely different story. Now, fake followers aren’t just on Instagram but everywhere. THey’re on Facebook, Twitter, Tumblr, and so on. As social media has gotten a more important role in society, more people have started looking at other people’s social media presence for various reasons. Therefore having an established social media presence can, in today’s society with the impact of social media be like having a great résumé. Why spot a fake Instagram account? Well, most often, when people ask ”how to spot a fake Instagram account”, they want to be able to identify whether or not the accounts that follow them are authentic. Since they know the importance of having an engaged and genuine following on Instagram, they often want to clean up in their follower base in order to only have real people follow them. If the question is asked differently, for example, ”how do I spot when someone buys fake followers”, the approach and answer are a little bit different. The reason is that the approach for identifying when someone buys fake followers is a little different, but not completely different from spotting a fake account. In other words, spotting a fake Instagram account is about identifying the bots, but spotting someone with fake followers is about spotting the people who buy the followers. There’s a difference there, and in this post, we’ll be focusing on identifying the fake accounts. If you want to learn how to identify people who buy fake followers, read this article. 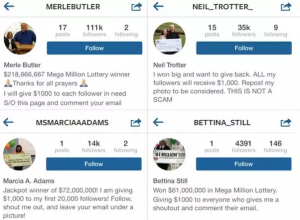 There are a number of signs and tells that reveal a fake Instagram account. 1. The profile photo doesn’t look realistic, often it shows a pretty girl or boy. Since the fake accounts are trying to look human, obviously, they will be using a profile picture of a real human being. Often times, you can see from miles away that the profile picture they use is a photo that no real person would use. The photos are also often photos of a boy or girl that are ”good looking” in order to make the account more appealing. Something that is universal for all fake accounts is that they have very strange posts in their feed – posts that no real person would upload. Often times, their feed is full of selfies, and most of the time, this person doesn’t even match the person in their profile. It’s not completely unusual that the selfies they share aren’t even of the same person. The feed of a fake Instagram account can also contain beautiful images which look like they’ve been taken by a professional, and then, the rest of the images are of absolutely terrible quality. Further, if you read the bio, they’ll never mention professional photographer, even though most photographers include that narrative in their Instagram profiles. These accounts often have a combination of very gorgeous and very amateur content, and this is an obvious sign of a fake account. The people who farm these Instagram accounts are very strategic about their work. For efficiency, they create Instagram accounts, set up the profile, uploads a few pictures in order to look authentic, and then pushes it out into the world in order to make money for them (when sold as a follower to someone). In other words, creating the account is like a set and forget mentality, and this leaves traces which you can look at to spot a fake Instagram account. Therefore, to spot a fake Instagram account, go through the account’s posts and look at the time of which the posts were uploaded. If they were uploaded in the matter of one day or a few days, it’s an indication that they are a fake Instagram account. This is probably the most common way to spot a fake Instagram account. Remember that these fake accounts are created for one reason: to be sold as followers to people who purchase followers. As such, the fake Instagram accounts are created for the purpose of following people. This means that eventually, they’ll follow a ton of people. Many times, the accounts will follow the maximum number of accounts you can follow, which is 7,500 people. And if they don’t follow 7,500 people, they might be very close. Furthermore, many fake accounts also follow each other in order to look more genuine and authentic. In fact, not all fake Instagram accounts are created for the purpose of following people who by their service. Some are created for the purpose of following other fake accounts in an attempt to make them look more authentic. Most accounts will never get close to following that number of accounts, but that is not to say that everyone that is following 7,500 people is fake Instagram accounts. In order to draw a conclusion, you need to back up your statement based on a number of different observations, and this is why we move to the next tell. 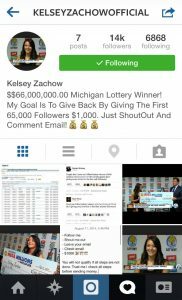 The services that provide fake followers are breeding fake Instagram accounts at a crazy speed. This is because Instagram is cracking down hard on fake accounts and bots and will ban them as soon as they get the chance to. This is why many of the fake Instagram accounts you’ll see will be very fresh, created not too long ago. To study this, take a look at their first post and see when it was shared. If it was created just recently, it might be a sign that they are a fake Instagram account, but remember to look at a number of factors before you draw any conclusions. People follow Instagram accounts because they have a value proposition. On Instagram, that value proposition is content. You never see accounts with just a few posts on Instagram with a ton of followers, unless the account belongs to a celebrity. Of course, this is only possible to identify if the fake account actually has a lot of followers, but even if they don’t, the low number of posts can be a tell itself. The reason is that sharing a post on Instagram takes time and effort, and the services that create these accounts want to streamline their process as much as possible in order to make more money, and this means only sharing a few pictures the minimal amount of posts to make the account look somewhat authentic. So if you look at their low number of posts together with the fact that the posts that they’ve shared are very strange, you can probably draw the conclusion that the account is fake. It’s not only the people who buy fake Instagram followers that have a large number of followers. Often times, you see fake accounts with a few thousand followers as well, to make them look more credible. But the thing is, since all their followers are more bots, they’ll have lots of followers, but a very low engagement on their posts. This is also a way to spot if a person has bought fake followers since the fake accounts won’t interact with your posts (unless you purchase that service as well, but most people don’t). If you see an account with thousands of followers but only a few likes and comments (if any), there’s a big red flag about that account. Real people who follow an account on Instagram because they’re truly interested in what they share interact and engage with the accounts that they follow. If an account dramatically increases in follower count, it may be because the account is fake and belongs to a fake-follower service, and gets followers from all of the other fake accounts to look more authentic. Furthermore, with Instagram consistently and actively banning fake accounts, a common theme for the accounts acquiring fake accounts (including the bots themselves) tend to lose a lot of followers over time. It’s no secret that fake accounts are created for the purpose of following other accounts. This, as mentioned, leads to them often reaching the maximum number of accounts to follow. A normal follower to following ration is 1:1 or less, but fake accounts on Instagram often follow considerably more than that, and they tend to have a lot fewer followers than they follow. Since setting up an Instagram account properly takes time, though, and energy, you never spot fake Instagram accounts with perfectly optimized bios. As such, often times, a few seconds is all it takes for the trained eye to spot fake Instagram accounts. Many fake Instagram accounts just leave their bios blank, many just include one or a few emojis, and others just write something incomprehensible in order to look authentic. It’s not uncommon to find accounts that have no profile picture at all. The fake accounts with a profile picture have in comparison put a lot of effort into making their page look authentic, as some services create fake accounts as empty shells and do nothing to make them look genuine. If an account is lacking a profile picture and a bio, and matches more of these mentioned criteria, you can be quite sure that they are a fake Instagram account. Fake Instagram followers aren’t just posting spammy, weird photos, but it is also common that they leave spammy comments here and there. But when these accounts leave comments, they can often be seen as being written by a bot from a mile away. First off, these comments are very generic (in order to suit no matter what type of post they comment on), and they often lack substance. Comments like ”Great capture” or ”good job” might be signs of a bot comment. If you want to learn how to identify a fake Instagram account in order to remove them from your own followers so you can get a higher engagement rate and a more closely engaged and relevant following, the best way to identify fake accounts that are following you is to use a fake follower check. There are a number of tools out there that will actively go out and look up the accounts that are following you to present you with a list of the fake ones. Socialblade is one of the most popular tools for looking at suspicious Instagram activity. With this online tool, you’ll be able to see the follower growth of a particular account, and by doing so, you can identify any strange behavior or happenings of an account which can help you see if they are fake or not. Influencer marketing hub has created an Audience Credibility Checker Tool which isn’t specifically created to spot fake Instagram accounts, but it is an Audience Credibility Checker that checks the credibility of the audience engagement. For example, a high credit score does not necessarily indicate “real followers” – the account may still have bought fake followers, the engagement rate could be very low but those few engagements are real and therefore the credit score could still be above 80. If the account you assume is fake gets a low score, you can start being a little skeptical. This is a great tool to check poor reachability and low engagement (which are indications of a fake account). Over the years, the bots on Instagram have grown to be more sophisticated and less visible, but when knowing what you should be looking for, identifying them isn’t that tricky. To spot fake Instagram followers, there are a whole array of things to look at. You can’t draw the conclusion after having just one factor that fits with the description of a fake account, but when you have a number of factors that match the characteristics of a fake account, that’s when you can start drawing conclusions. Nice article Jens. Learned something new today, but how come people don’t use evoig.com ? I find it usefull, i used owl.com before, good tool also. A good way is to download (or take a screenshot) of one of the images, especially the ones more recognizable, i.e. one with a particular landscape or something written), go to google images (for desktop, not from the phone) and drag the image into the search box. you’ll likely find that these pics are available online or even used for loads of IG accounts.